Listen up folks, views have been slow lately and that's been leaving me peeved. So what do I do? 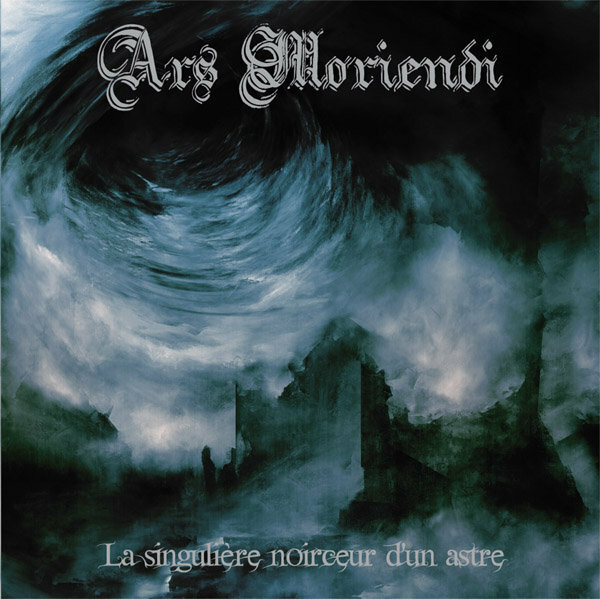 I continue to bring you some of the best, this time with Ars Moriendi, a black metal project which is wholly evil and totally understand the inherent darkness of the genre. Their new record La Singuliere Noirceur D'un Astre (The singular darkness of a star) has long songs, apocalyptic riffs, and haunting melodies. On top of that, the bands vocalist, the almighty Arsonist (In fact, this band is Arsonist's one man project) has a truly terrific bleakness in his vocal lines. There is an all consuming blackness on tracks like Verité which speak to the undying magic of black metal. Ars Moriendi is proof that Arsonist understands black metal on a very personal level, and furthermore, knows how to execute, and bring his distinct take on this most evil genre to the fore. Even for the uninitiated it is clear, Ars Moriendi understands the glory of black metal and there is no escaping its all consuming fire. Find Ars Moriendi on Facebook!